This Lipoko mask, postcard and chair of power (kiti cha enzi) are all part of the Fowler Museum’s “World on the Horizon” exhibition of Swahili arts. “World on the Horizon: Swahili Arts Across the Indian Ocean,” an exhibition that challenges fixed and familiar notions of places like Africa and Asia, is coming to the Fowler Museum at UCLA in October. For centuries, peoples from the Arabian Peninsula, Asia, Africa and Europe have journeyed across the Indian Ocean in many directions. On the east African coast, this confluence of peoples gave rise to many diverse communities that are often called “Swahili” — after the Arabic word meaning “edge” or “coast.” The “World on the Horizon” exhibition, which is the first major traveling exhibition dedicated to the arts of the Swahili coast, asks visitors to ponder how artistic practices lead people to remap their relationship to seemingly distant cultures. More than 150 artworks from Kenya, Mozambique, Tanzania, Oman and India demonstrate how the region is a vibrant site of cultural convergence and illuminate Africa’s contributions to the artistic vocabulary of the wider Indian Ocean world. 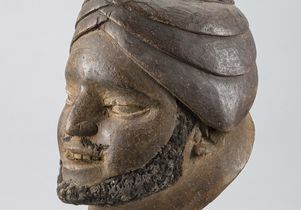 Among the objects included are beautifully illuminated Qurans, intricately carved architectural elements and embellished furniture, vintage studio portraits, and lavish silver and ivory jewelry. Forty works on loan from the National Museums of Kenya and the Bait Al Zubair Museum in Oman are touring the U.S. for the first time. “World on the Horizon: Swahili Arts Across the Indian Ocean” opens Oct, 21 and will run through Feb. 10, 2019. Organized into six thematic sections, the exhibition takes visitors into the streets and homes of Swahili port towns and beyond, highlighting the arts of diplomacy and trade, the built environment and interior display, fellowship and self-fashioning, spiritual knowledge and pious devotion. The arts on view speak to an outward-looking ethos — one of encounter and possibility, negotiation and struggle — that connects the people on the Swahili coast with faraway places, and reveal how people bring the world home. “Between Land and Sea: Objects in Motion” introduces the idea of the global mobility of objects, peoples, and ideas, and explores how diplomacy was closely linked to commercial interests and the giving of gifts. 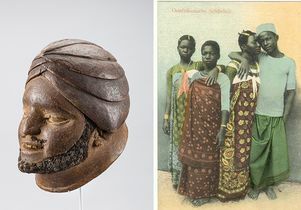 Included are a silk coat given to diplomats by the Sultan of Zanzibar, and a rare Kenyan ngoma or drum — one of the most celebrated icons of Swahili heritage today, once a powerful insignia of dynastic power and religious authority. “Architecture of the Port” allows audiences to experience the aesthetics of Swahili port towns through the art of the fragment. Door posts, lintels, and tombstones with floral, geometric, and calligraphic motifs constitute a veritable archive of aesthetic languages originating from places throughout the western Indian Ocean rim. They are inventively combined by Swahili carvers in the service of their patrons. 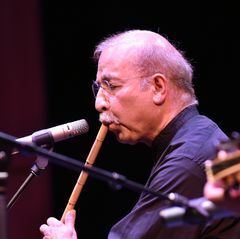 “In the Presence of Words” includes illuminated Qurans and other Arabic manuscripts that convey the lively play between word and image in Swahili residents’ most treasured arts. Also, intimate amuletic jewelry was designed to hold passages from the Quran or medicinal inscriptions to protect the wearer. Everyday objects, such as bicycle mud flaps or woven mats, are decorated with colorful poetry, proverbs, conundrums and commentaries. 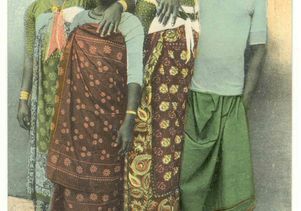 “Trading the Gaze: Photography on the Swahili Coast” features studio photography from the 1950s and 1960s, as well as historic postcards from the region. 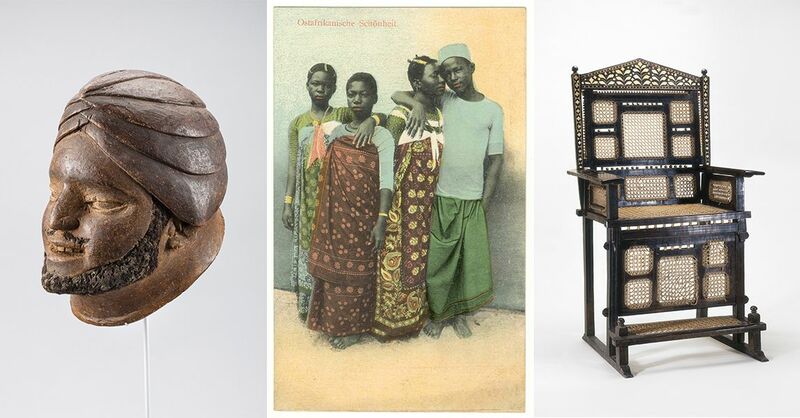 These items explore the complex impact of colonial modernity on Swahili culture by focusing on how the photograph became one of the most desired emblems of worldliness. The studio portraits tell stories about the importance of self-representation for people living in major urban centers of the coast, including Lamu, Mombasa and Zanzibar. 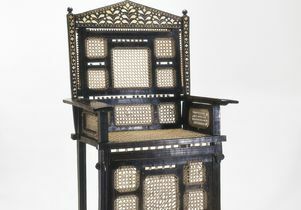 “At Home in the World: Swahili Interiors” shows everyday objects, including embellished spoons, serving vessels from Oman, majestic chairs, and an intricately woven mat from Zanzibar. This section highlights the work of Swahili women as the primary “curators” and agents of Swahili worldliness through of their role as stewards of home. A book accompanying the exhibition is available from the University of Washington Press. It is the first interdisciplinary study of Swahili visual arts and their historically deep and enduring connections to eastern and central Africa, the port towns of the western Indian Ocean, Europe and the United States. Edited by curators Prita Meier and Allyson Purpura, the illustrated publication features 17 essays in a mix of formats — personal reflections, object biographies, as well as more in-depth critical treatments. Major funding for the Los Angeles presentation is provided by the Martha and Avrum Bluming Exhibition Fund with additional support by the Fowler Exhibition Fund and Ellen Perlmutter and Edward Jones. *Any views, findings, conclusions or recommendations expressed in this exhibition do not necessarily represent those of the National Endowment for the Humanities. Saturday, Oct. 20, 6 to 7 p.m.
Saturday, Oct. 20 7 to 9 p.m. The Fowler Museum at UCLA explores global arts and cultures with an emphasis on works from Africa, Asia, the Pacific, and the Americas — past and present. The Fowler enhances understanding of world cultures through dynamic exhibitions, publications and public programs, informed by interdisciplinary approaches and the perspectives of the cultures represented. Also featured is the work of international contemporary artists, presented within the complex frameworks of politics, culture and social action. Hours: Wednesday 12 to 8 p.m. and Thursday through Sunday 12 to 5 p.m.